Today in this post I will tell you how you can short Google Image Search by Subjects. When you search for a word which has many meaning or contains many type things for instance when you will search for Orange you will get many types of things mixed in that search result like Orange Fruit, Orange Logo, Orange Color, etc. Or when you search for Kolkata you will get Kolkata Bridge, Kolkata Victoria Memorial, Kolkata Tram, Kolkata Knight Riders, etc. all mixed. So to make your image search easier, fast and relevant to your quarry Google added a new option in Google Images search called Sort by subject by which now when you will search for anything you can sort them out in different subjects or categories. 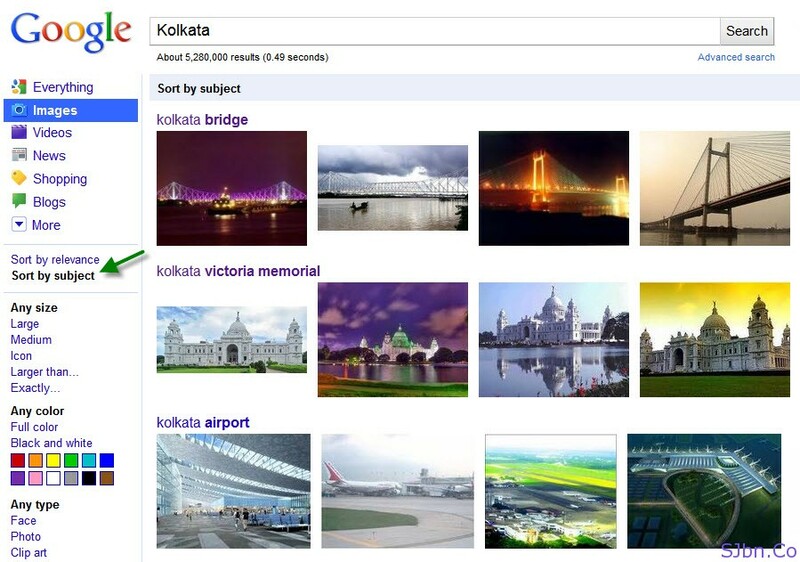 Let’s take Kolkata from the above example if you search for Kolkata in Google Images search and select Sort by subject from left side panel and all the images will be categorized by Kolkata Bridge, Kolkata Victoria Memorial, Kolkata Tram, Kolkata Knight Riders, etc. now you can click on anyone of the category from that and you will get all the image related to that.